Three agreed transactions have focused attention on a group of Australian gold producers that have operations primarily, but not exclusively, in Western Australia. St. Barbara Ltd. and Allied Gold have agreed to a transaction whereby St. Barbara will acquire Allied for cash and St. Barbara shares that value Allied at about A$552 million. Silver Lake Resources and Integra Mining have agreed to an all-share acquisition of Integra by Silver Lake that values Integra at about A$426 million. And Zijin Mining, China’s largest gold producer, reported in early August it had acquired a more than 50% interest in Norton Gold Fields, following a May 2012 take-over bid by Zijin that valued Norton at about A$212 million. St. Barbara/Allied Gold: St. Barbara’s cornerstone asset is its Gwalia underground gold mine near Leonora, Western Australia. The company also operates the King of the Hills underground gold mine at Leonora and the Marvel Loch underground gold mine 30 km south of Southern Cross, Western Australia. Allied Gold has two operating gold mines: the Simberi mine on Simberi island, the northern-most island of the Tabar Islands group in New Ireland province, Papua New Guinea, and the Gold Ridge mine on Guadalcanal island in the Solomon Islands. The combined company expects to produce about 435,000 oz of gold in its 2012-2013 financial year. It will have substantial reserves: 2.5 million oz at its Leonora operations, 2 million oz at Simberi, and 1.1 million oz at Gold Ridge. Exploration opportunities exist near each of these mines, and the company will also have a number of greenfields exploration projects, both in Australia and in the southwest Pacific. Silver Lake/Integra: Silver Lake and Integra Mining each have a gold mill and mines in the Eastern Goldfields region of Western Australia southeast of Kalgoorlie. Silver Lake also is developing a second mining operation with multiple mines feeding a central processing facility in the Murchison Goldfield 600 km northeast of Perth. This project is under construction, and production is expected to start during the first quarter of 2013. The proposed transaction will create an Australian gold producer with a 6.6-million-oz gold resource base, inclusive of 1.8 million oz of ore reserves; current production of 200,000 oz/y; and forecast production of more than 400,000 oz/y in 2014. Integra shareholders will hold about 40% of the enlarged Silver Lake. The transaction is expected to become effective during the fourth quarter of 2012. In addition to the benefits flowing from reduced overheads, shared infrastructure, and economies of scale, the enlarged Silver Lake will have two mills with 2.2 million mt/y of milling capacity in the same region, diversifying risk and allowing for optimization of production strategies. Zijin/Norton: Norton Gold Fields and Zijin Mining signed a bid implementation deed in late May 2012 regarding a takeover offer to be made for Norton by Zijin. Zijin already held a 16.98% stake in Norton, and as of early August its interest had increased to more than 50%. 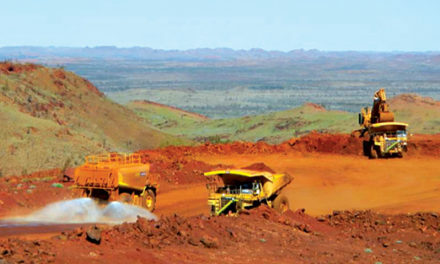 Norton owns and operates the 3.3-million-mt/y Paddington mill 35 km northeast of Kalgoorlie, Western Australia. The mill produced 152,000 oz of gold in 2011 from feed generated from multiple mines on the Paddington land package. The mill is based on conventional carbon-in-pulp technology. The processing line includes a cone crusher, a ball and SAG mill grinding circuit, gravity recovery, and cyanide leaching. Paddington has proven and probable ore reserves totaling 1 million oz in 11 projects on its land package. Measured, indicated, and inferred resources total 5.96 million oz from a list of 28 projects.